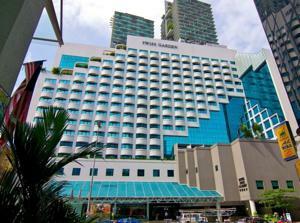 Swiss-Garden Hotel Kuala Lumpur is a 3 minute walk from Bukit Bintang and the Golden Triangle area. Rooms come with a flat-screen TV. An outdoor pool and pampering spa services are available. Swiss-Garden Hotel Kuala Lumpur provides free shuttle service to KLCC and Chinatown, less than 10 minutes away. Kuala Lumpur International Airport is a one hour drive away. Air-conditioned rooms come equipped with minibars and tea/coffee makers. Ironing facilities are provided in selected rooms. Radios and safes are included. Massage and sauna services are available at Samsara Spa. Currency exchange and laundry services are available. Guests can make sightseeing arrangements at the tour desk. Guests can enjoy international dishes at Flavors Restaurant, T@ste6 Brasserie, Green Treats Delicatessen. Drinks are served at the Pool Bar, The Blue Chip Lounge and e-lounge. All restaurants and bars offer free internet access. Wired internet is available in the hotel rooms and costs MYR 10 per 24 hours. Private parking is possible on site (reservation is not needed) and charges apply. Free! All children under 12 years stay free of charge when using existing beds. Free! One child under 2 years stays free of charge in a baby beds. One older child or adult is charged MYR 92 per person per night in an extra bed. The maximum number of extra beds/baby beds in a room is 1. Any type of extra bed or crib is upon request and needs to be confirmed by management. Supplements are not calculated automatically in the total costs and will have to be paid for separately when checking out.